A unique one-piece kneepad/footplate weighing less than 8 kgs. The footplate can be attached to the Ardoo 140 hoist in a matter of seconds with no tools required, allowing the Ardoo Combo to function immediately as a stand aid. The Stand Aid offers amazing value for money in terms of it's capabilities. If needed the combo can be used as a stand aid for one transfer and as a hoist the next. 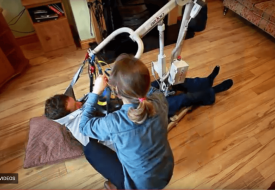 Reduces the risk of orthopedic injury from lifting patients. Easy to use and saves time for carers. Only one carer required to complete lift. Can lift up to 140 kgs (22 stone). Shipping costs within Europe are €60.00 or £50.00 Sterling. This cost will be added during the billing process. The Ardoo Caresafe 140 Hoist Stand Aid Combo is fully guaranteed for one year for the battery and 4 years on all other parts. The Guarantee is on an Advanced Replacement Basis, where a faulty part will be completely replaced at our cost. Once we ascertained the exact nature of the fault, we will send the replacement part in our specialist packaging by Courier. The customer will then replace it and return the faulty part in the same packaging at our expense. 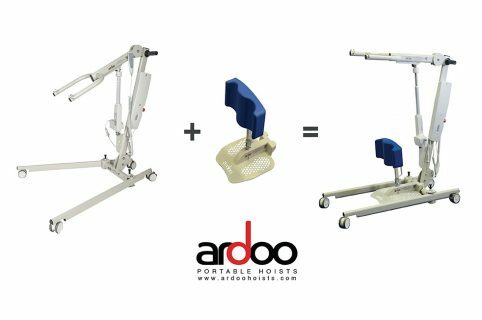 Why Purchase the Ardoo Caresafe 140 portable Hoist Stand Aid Combo. The Ardoo Caresafe 140 Hoist Stand Aid Combo has been designed, developed and manufactured internally by Ardoo Caresafe Limited. The Ardoo Caresafe 140 Hoist Stand Aid Combo is a problem solver, versatile and easy to use by one carer. It enhances and improves the quality of life of the wheelchair user and makes life easier for the carer. The Ardoo Caresafe 140 Hoist Stand Aid Combo can be used in the home, in the car and can be easily taken on day trips and holidays. 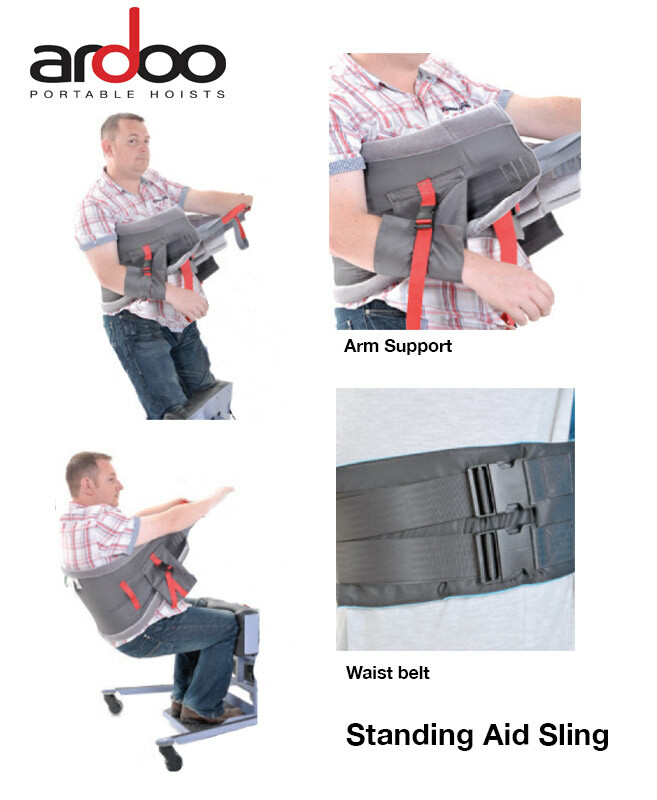 The Ardoo Caresafe 140 Hoist Stand Aid Combo has a very small footprint and can be used in small spaces such as a bathroom and can lift a supine person from the floor. It is a one piece construction and easily folds down and up in under 40 seconds and can be placed in the boot of a car. It can be taken on board an aircraft. 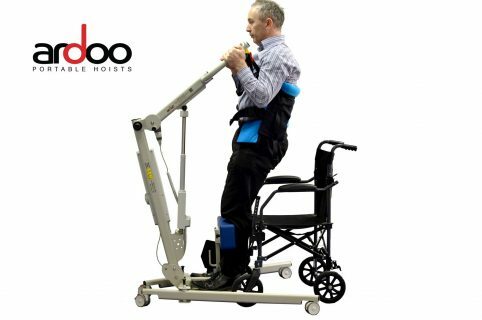 The Ardoo Caresafe 140 Hoist Stand Aid Combo conversion from hoist to stand aid/stander is simple with no tools required.